For some exams, you’ll be required to disable your tools, meaning you won&apos;t have access to highlights and notes or be able to create new ones. It&apos;s important to know the requirements for your exam before disabling your tools. 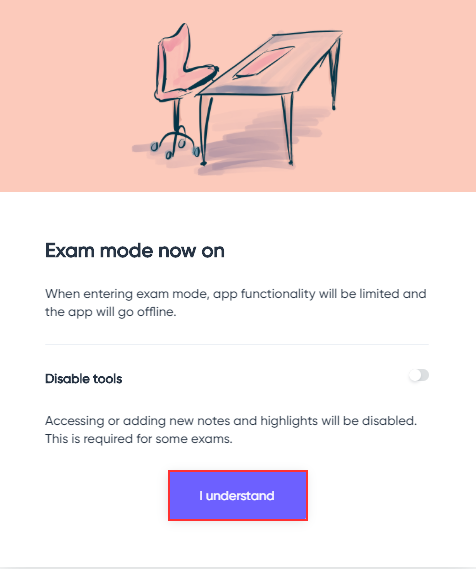 Entering Exam Mode will cause your app to become offline, which means that most functionality is limited. Make sure the books you need are downloaded. Otherwise, you won’t be able to access them during the exam.